Out of all the creations of Allah, He has given more importance and significance to some of His creations over others. Among humans, our beloved Prophet – صلى الله عليه وسلم- has significance over all the other prophets, in days Friday has an Islamic importance compared to the rest of the days, similarly in months, Ramadan has a special significance over the rest of the months. And in this month there is a night better than a thousand nights, Layla-tul-Qadr. It is one of the five pillars of Islam, where a Muslim refrains from food, drink and other sinful acts which breaks the fast from dawn to sunset in the ninth month of the Islamic calendar, Ramadan. It is obligatory on every sane muslim who has reached the age of puberty. Exemptions are there for old, sick, travelers, pregnant and breast-feeding women with special rulings for each of them. This is from the Mercy and kindness of Allah on us. Allah never over-burdens anyone, there are rules for special situations and cases to make ease for the people in all areas of Islam. But why do we fast? One of the main goals of fasting, as stated in the ayah above, is gaining Taqwa i.e. piety and being conscious of Allah, it makes us follow Allah’s commandments and refrain from what he forbade. Fasting helps us appreciate the blessings of Allah upon us, it makes us thankful and we do not take Allah’s bounties for granted once we go through the day without food and water and specially during summers where the days are hot and the thirst is on its peak! It helps control our desires. It makes us realize hardships the poor and needy face, and we hasten in helping them with whatever we have. It helps us leave our bad sins and habits, after a month of leaving our bad practices it makes it easy to stay away from them even after Ramadan. Similarly it helps us build good worshipping habits which we carried out the entire month. It reminds us that Allah is watching us always so we stay away from sins and desires as much as we can. I ask Allah to help us in our fasts, prayers and all other worships and accept it from us. 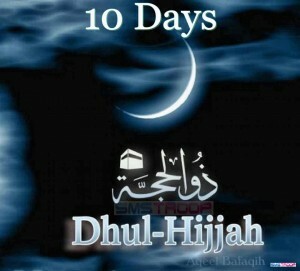 May this month be where all our sins are forgiven, we become closer to Him and be among the dwellers of Paradise. PS Keep Muslims from all over the world in your prayers, specially the ones suffering.